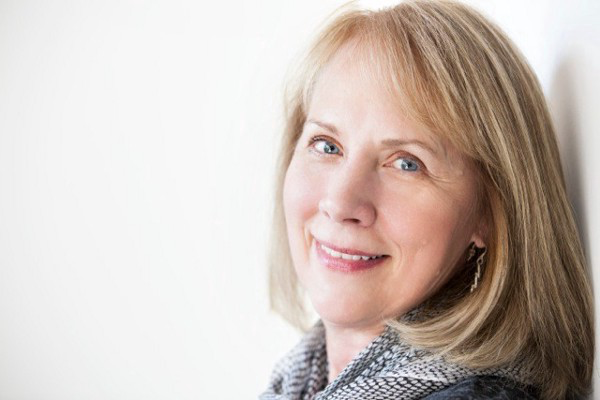 Family Laundry: “The Weight of Smoke,” by Luanne Castle. The Paake children in the fire, all grown up . Front row: Theresa and Cora. 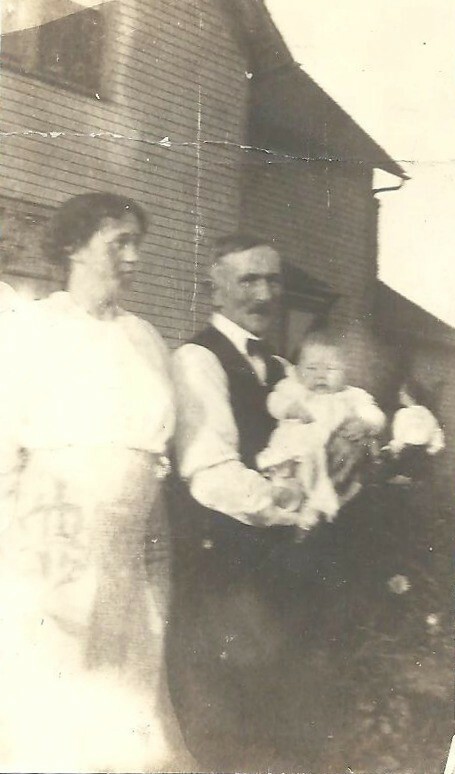 Back: Frances, George, Jr., and Jennie (Jane). Note the watch that Cora is wearing. In the fourth installment of this series, Luanne Castle chronicles a devastating fire for the Paake family and explains how she collected the material that enabled her to write their story. “The Weight of Smoke” measures the incident from multiple viewpoints, the inspiration and foundation for which can be found in detail — with newspaper clippings and photographs — after the piece. “The Weight of Smoke” first appeared In Parentheses in summer 2016. Luanne’s exegesis is original to Broad Street. The residence of George Paake at 1016 Trimble Avenue was burned this morning about 10:30 o’clock and a worthy family which has had a series of disasters, left without a home. Fourteen-year-old Cora carried one side of her mother’s favorite dresser, while her father, balancing more of the weight himself, walked backward as fast as possible. The rattle in his chest barely slowed George as he set down the piece and rushed back into the smoke-filled house. Cora’s gaze lingered on the dresser before she followed him. Her guilt seemed to flow out the seams of the closed drawers. Its debris curled up like sawdust in the notches of the leaf-pattern carving. Tracy and Fannie clung to Jennie, who held little George in her thin arms. Her father had yelled that the only help he needed from her was to keep the three smallest from the fire. From the chimney in the column of smoke, a fan seemed to rise, unfolding its flames. Jennie tried not to see it as triumphant. She glanced down at Tracy, who had stopped crying. The girl’s molten eyes hardened like blown glass into marbles. The house which Mr. Paake was paying for in the Building and Loan Association was entirely ruined although most of the contents of the home were saved. Mr. Paake receives no insurance whatever and the little which had been accumulated by the family was lost. With the furniture assembled on the side of the street, alongside the children and a few neighbors, George watched the remains of the house burn. The thought of his dead wife’s watch in the dresser drawer bobbed on the surface of his mind even as smoke escaped into the sky. He retrieved it without caring who noticed and slipped it into his pocket. Who knew what would happen to the furniture? And where would he and the children go? It was his fault for being sick in bed. The fire is only an incident in the history of the family. Mrs. Paake died a short time ago leaving five children, the oldest being fourteen years old. Since the mother’s death the little girl has had entire charge of the house and the four little children and has had all the responsibility of the family except the support which Mr. Paake gave as a laborer. Recently he has been unable to work and was ill this morning when the fire occurred. It replicated itself into a chain of thinking: If he hadn’t been in bed. If he hadn’t been ill again today. And still he coughed. Such heaviness had been placed on Cora for the past two years. As the flames disappeared and the smoke decreased, they all witnessed the end and its beginnings. He turned to seek out Cora. Her face reminded him of the way his wife used to starch the girls’ white blouses and pinafores — white and unyielding. That was when he realized that since her passing, they had worn soft and wrinkled dresses, now smudged with black. The front of Cora’s apron had ripped. George went to her and slipped the watch on its gold chain over her neck. He should have given it to her before the fire. She felt his thumbs on the side of her neck and then the stonelike weight of the watch as it rolled down to dangle at the bottom of its chain. What was this? A reward for letting the house catch fire? She rubbed the smooth gold, feeling the engraved flower under her fingertips. What was beautiful to the sight felt like a flaw to the touch. More neighbors arrived, but they said the house was too far gone to save. That too was her fault, for not noticing the smell of smoke after breakfast. The neighbors have taken in the little ones and are doing all that is possible to alleviate the sufferings of the family. Mrs. Carrier has been responsible for raising a sum of money to which the neighbors have liberally contributed. Mrs. Carrier, a sixty-eight-year-old widow who lived two streets over, got out of her carriage and bustled over to George. Somebody had to get them started and she vowed to collect a nest egg for the Paakes, who now had nothing. Fannie would go with Jennie to the next-door neighbors’. Tracy’s childless Sunday School teacher led her away. Jennie noted the girl didn’t look back, though she herself couldn’t bear to turn her back on the chaos in the yard. The couple at the corner carried off young George, promising a confectioner’s-sugar cookie. George had seen where the matches had burned a hole in the floor, near the window, where the curtains had hung. He had not told anyone. He never would. After all, no sense any of the children feeling bad over the fire when he was the one who had been lying in bed sick. In a stack of old papers and photos inherited from my grandparents, I discovered a yellowed and disintegrating newspaper article entitled “Without a Home.” It described how the family of one George Paake, a widower with five children, was left homeless after their house had burned down. Since my grandparents had safely kept that article for decades and because of the familiarity of the family name, I knew it must concern relatives. But who was George to me? I thought he might be the father of my great-great grandmother Alice Paak DeKorn (whose own experience with a fire I explored in “An Account of a Poor Oil Stove Bought Off Dutch Pete). I couldn’t find evidence of a mother for her, and I knew her to have had three sisters and a brother. Those bare facts seemed correct. But without an article date or a newspaper name, I didn’t have a lot to go on to test my theory. For a few years I tried to collect information on Alice’s family of origin, the Paaks or Paakes. I found that she had immigrated as a teen with her father and siblings. As I read through documents and newspaper articles, I created a family tree for them riddled with holes and inaccuracies. I began to post what I could find on my blog, The Family Kalamazoo. Then I had a breakthrough. I was contacted by Professor Edgar Lawrence, the grandson of Alice’s brother George. Professor Lawrence shared my interest in genealogy. Because he was only two generations removed from Alice — whereas I am four — his memories were invaluable in piecing together information about the family. He told me that the fire was actually at the home of Alice’s brother George. 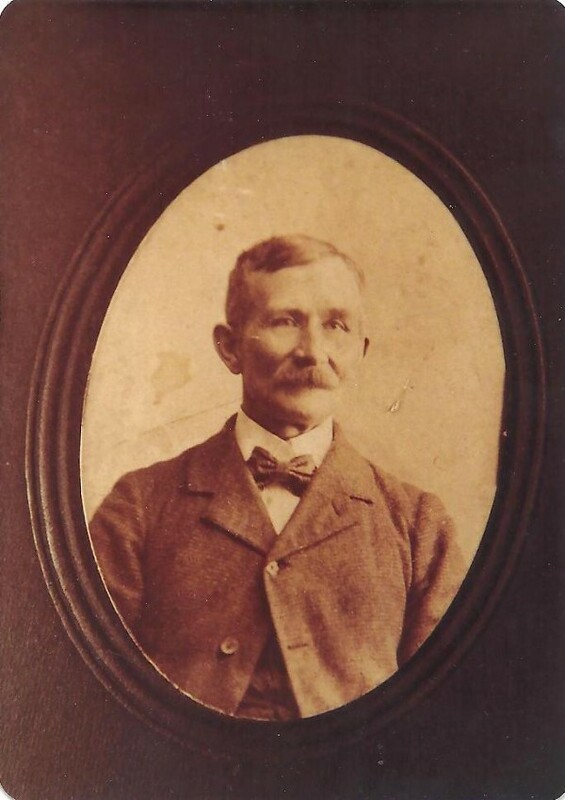 Born Joost in Lexmond, Zuid-Holland, Netherlands on 25 August 1850, George arrived in Kalamazoo with his family when he was eighteen years old. When he was thirty-six, he married Lucy Kliphouse, another Dutch immigrant, and they had five children. Lucy passed away in 1900, two years before the fire. The oldest daughter, Cora, was only twelve when her mother died, leaving her in charge of the household. 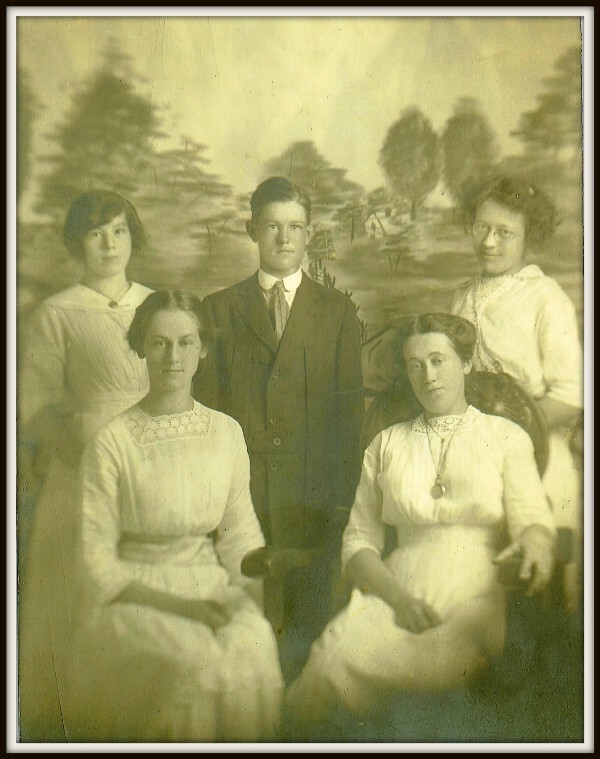 Eventually George went on to marry at least two other women; but right after the fire, one daughter, Theresa (the mother of Professor Lawrence), went to live with foster parents and became a part of their family. When I imagined the scene of the house fire, the ancient clipping and another newspaper article I found in an archive were invaluable. 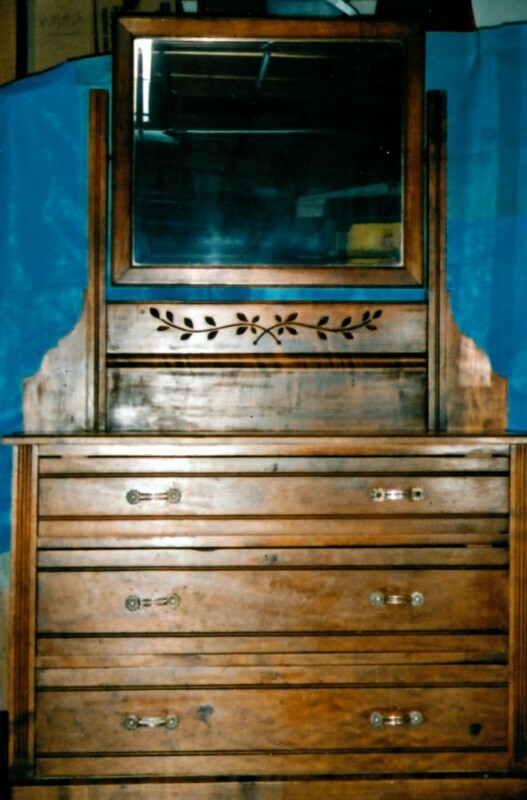 So was a photograph of the dresser that survived the fire and is still owned by Professor Lawrence’s family. George with daughter Cora and grandson John. The dresser became an important part of my re-creation of the scene outside the burning house. The idea for the watch in the piece came from the photograph of the five kids. Cora is wearing a watch in that one. Physical objects, even just in photographs, are touchstones that unlock the world of a character or historical figure. The dresser that survived the fire. 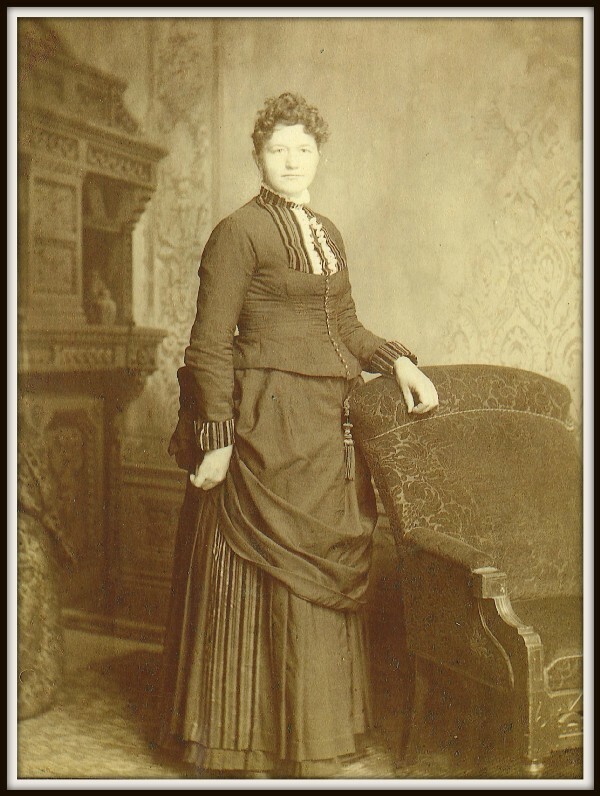 Previous postFamily Laundry: “What Came Between a Woman and Her Duties,” by Luanne Castle. Next postImages of the Secret Self: Chad Hunt’s Halloween Portraits. What a terrible thing for them to go through.